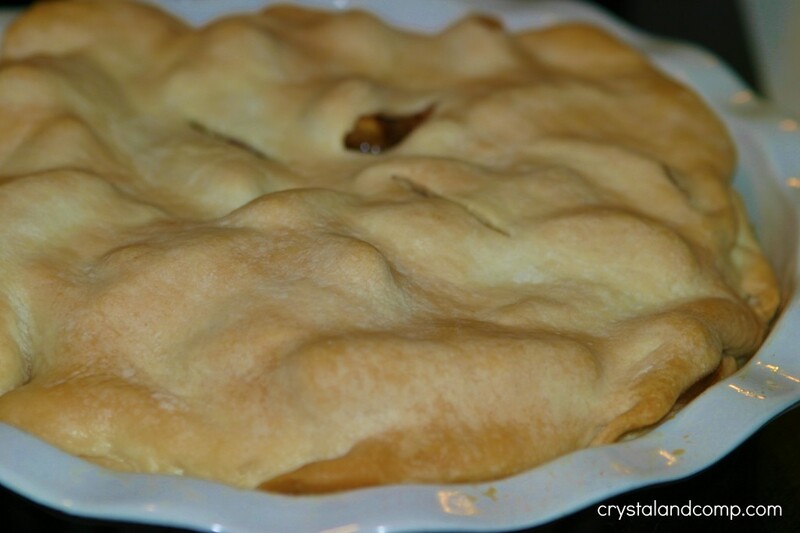 My friend Kim makes this amazingly delicious apple pie. 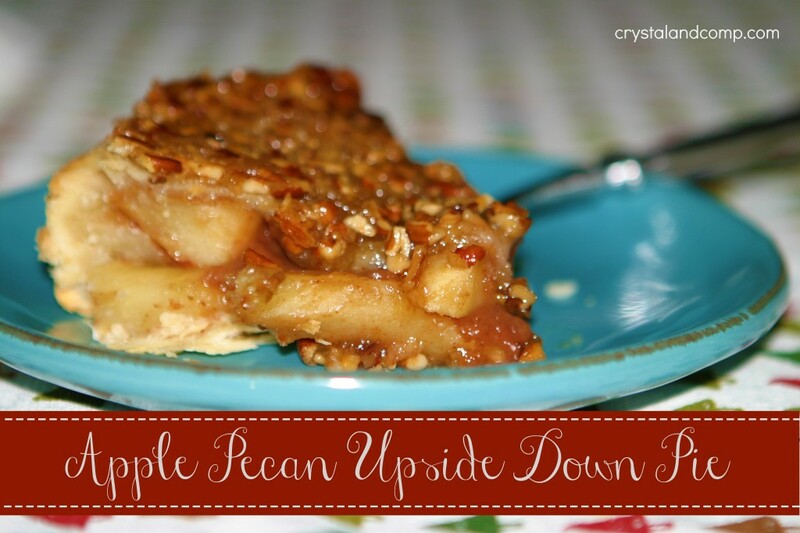 It is her mother-in-law’s recipe and it is an apple pie like you have never had before. It is perfect for Fall. Perfect for Winter. Perfect for Thanksgiving. Perfect for Christmas. Once melted, stir in the brown sugar. 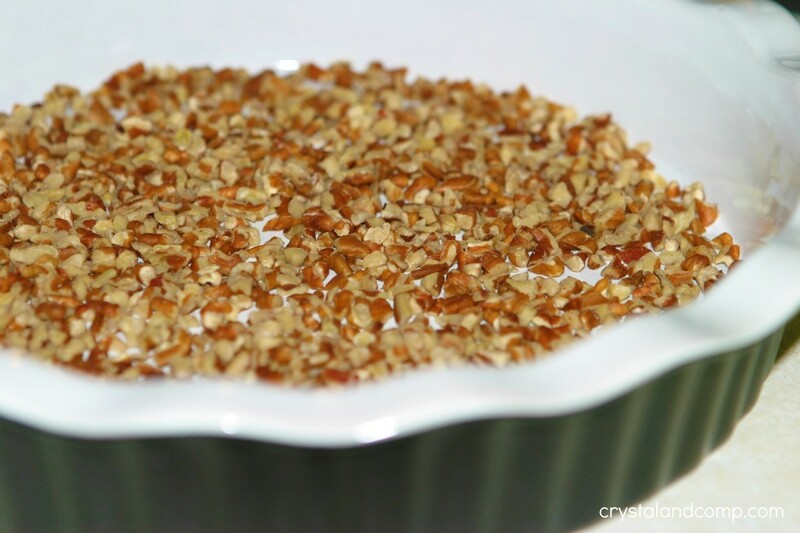 Place the chopped pecans evenly in the bottom of a pie plate. Pour the butter/brown sugar mixture over the pecans evenly. Top with one of the unrolled pie crusts. In a large bowl place your apple slices. Add the flour, granulated sugar, cinnamon and nutmeg. Mix well to evenly coat the apples. Dump the apples on top of the pie crust already in the pie plate. Distribute apples evenly, of course. 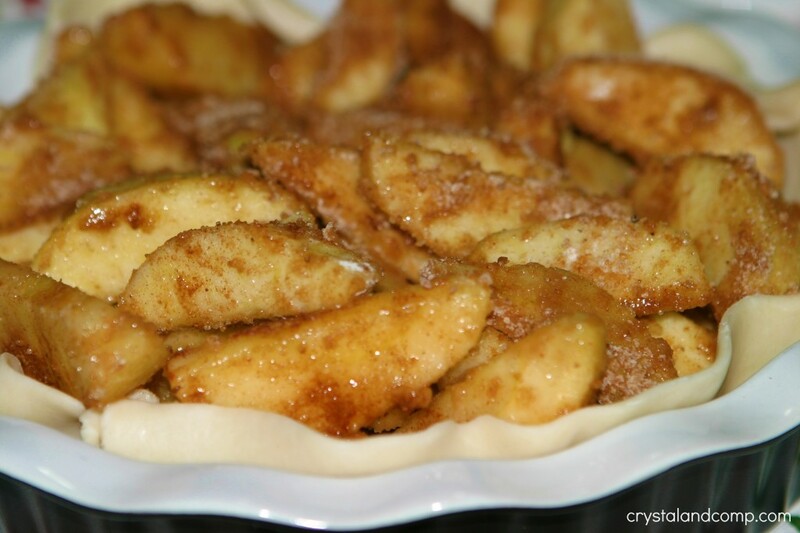 Place the second unrolled pie crust over the apples and tuck in the edges. 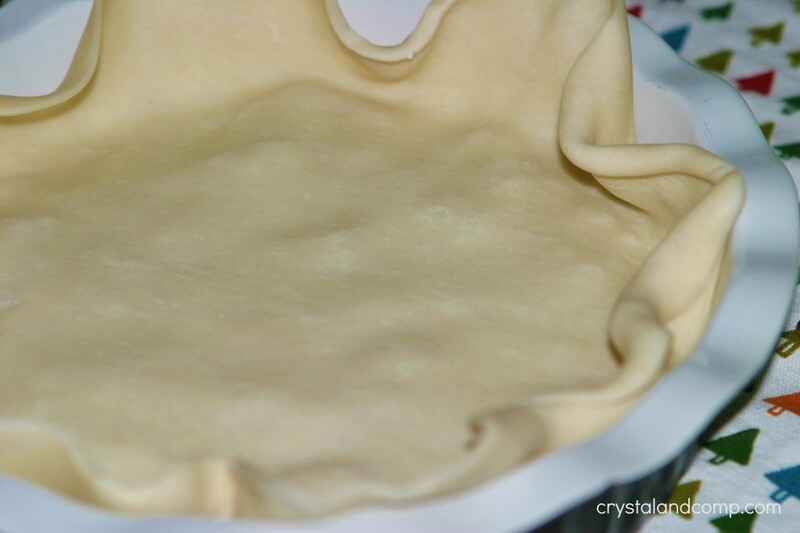 Make a few slits or cut-outs in the top of the crust so it can vent. Bake at 375 for 40-45 minutes or until the crust is golden. Remove from the oven and let it rest for 5 minutes. 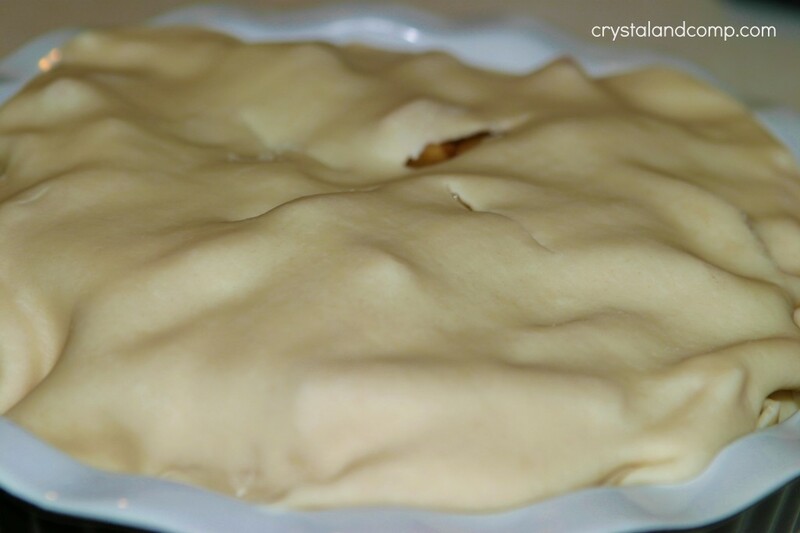 Once the pie has cooled for 5 minutes, flip it over onto a plate or platter. Your buttery pecan sugar mixture will be on top of the pie now. Slice it up and serve it. A scoop of vanilla ice cream is delish with this! 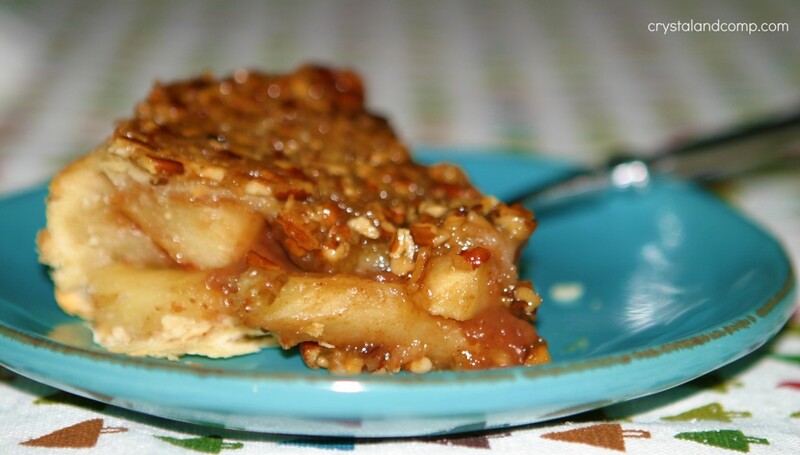 Have you ever had pecans in your apple pie? It really is an awesome combination. 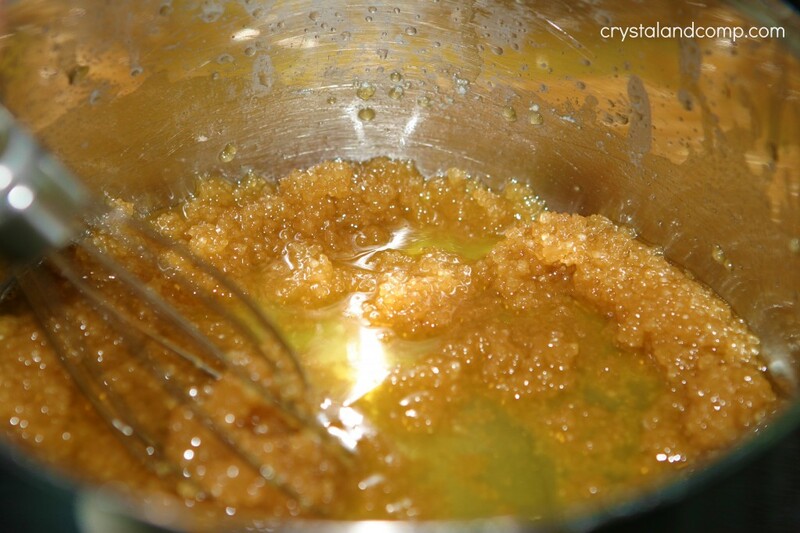 Once melted, stir in the brown sugar. Whisk until well combine. Add the flour, granulated sugar, cinnamon and nutmeg. 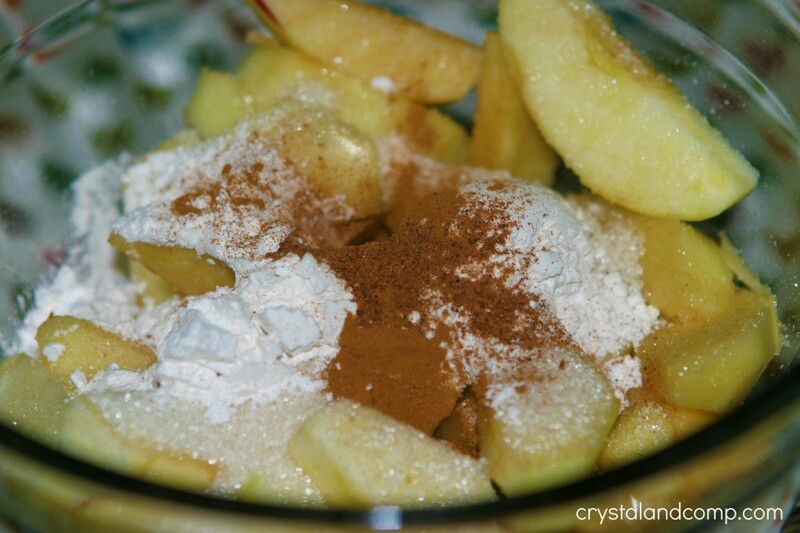 Mix well to evenly coat the apples. Dump the apples on top of the pie crust already in the pie plate. Distribute apples evenly, of course. Once the pie has cooled for 5 minutes, flip it over onto a plate or platter. 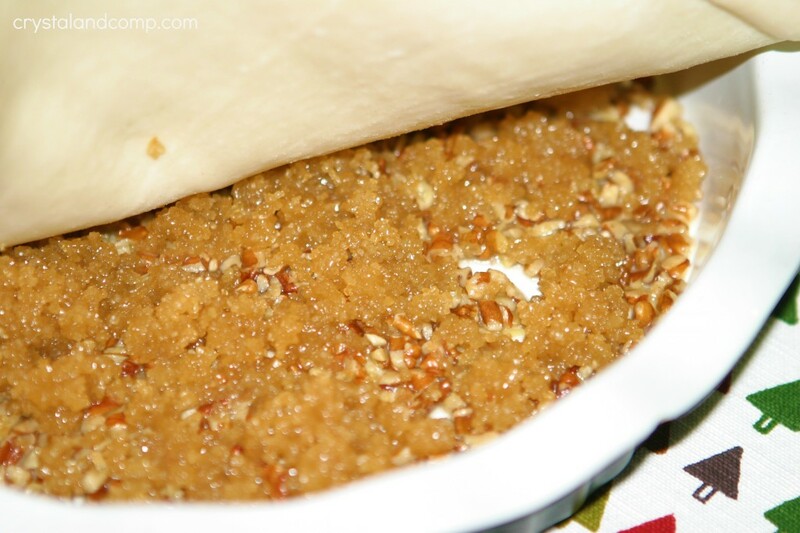 Your buttery pecan sugar mixture will be on top of the pie now. I have never seen anything like this before. Yum! Tulip- it is so, so good. I have to be in the mood for pecan pie and for apple pie, but this…. this is melt in your mouth amazing! It is so yummy! We have it every Thanksgiving and Christmas. It is always on our dessert menu. It looks hard to make but is so easy! Good job Crystal! It turned out great. I hope I get two thumbs up from your MIL and hubby. Thanks for sharing all your wonderful recipes with Full Plate Thursday in 2012. Wishing you and your family the very best in 2013. I have been making this pie for years. 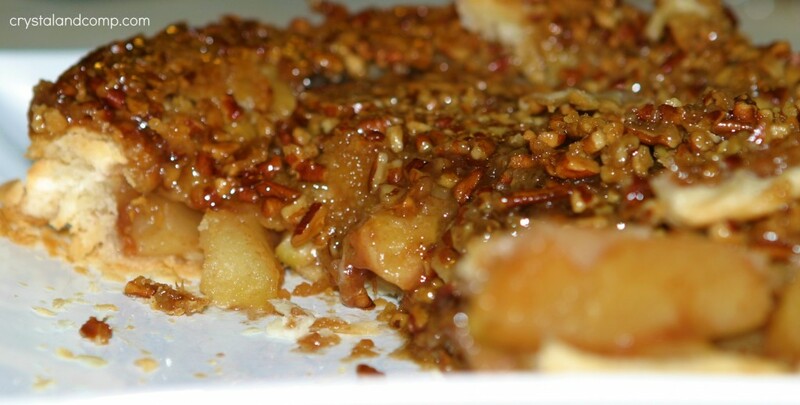 I call it ‘topsy turvy apple pie’ I also use whole pecans placed in circles instead of chopped. Makes the pie look prettier. Love your name for the pie! Yum! I would love to try making this recipe. It looks delicious. But, being a novice, I am a little confused about the amounts of flour, cinnamon and nutmeg to use. T can mean either tablespoon or teaspoon, which can make a big difference in the outcome of the recipe. Can you clarify by using Tbl or Tsp as the abbreviation?